Cooking is something I discovered I was very good at, given the time and space and ingredients. My favorite thing to cook is soups, stews, chili and things of that nature. those are what I have found I'm best at. Being told my corn chowder and chili are the best people have ever had was probably the nicest thing anyone has ever said to me. And I've found (as many people already know) beer is an EXCELLENT ingredient in cooking. I personally love cooking with dark beer, I think they offer a nice, complex taste. But I don't add beer to everything I cook, just things I think would benefit. It makes a great marinade, too. It's just a useful, all around great kitchen ingredient. So with things I cook, that I include beer in, I'm going to blog about it and share the recipe with you! 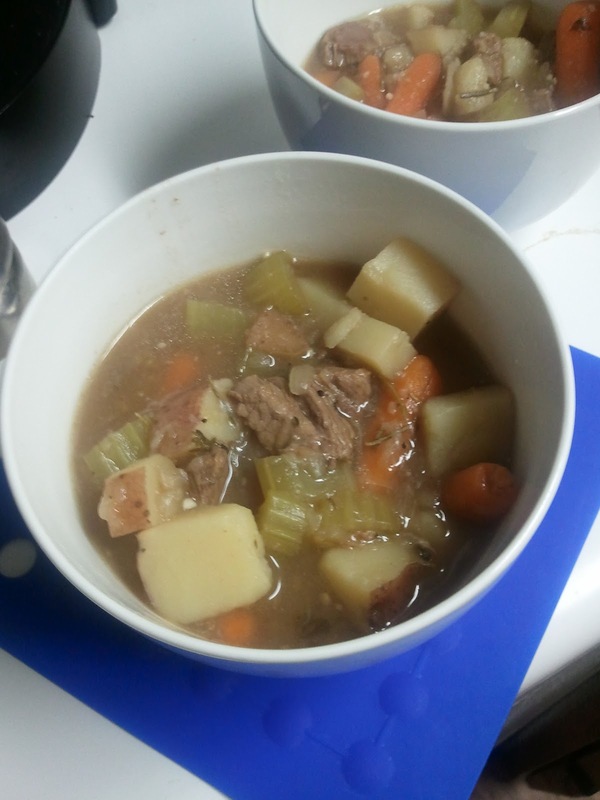 My first entry is a beef stew, and for bloggers sake, we can call it Brewfus Beef Stew! Has a nice ring to it, wouldn't you think? So here's what we're gonna chow down on! Doesn't that look awesome? This was the first batch I ever made (December 2011)! Now like with anything else, taste is all relative, so you can feel free to add more/use less of any of the ingredients. Start off by browning the meat in whatever pot you're cooking. drain half (or all) of it. Pour in water, bouillon cubes, beer, salt, pepper, rosemary, parsley and bay leaf. Bring it all to a boil. cover and let simmer for 45 minutes to an hour, stirring occasionally. 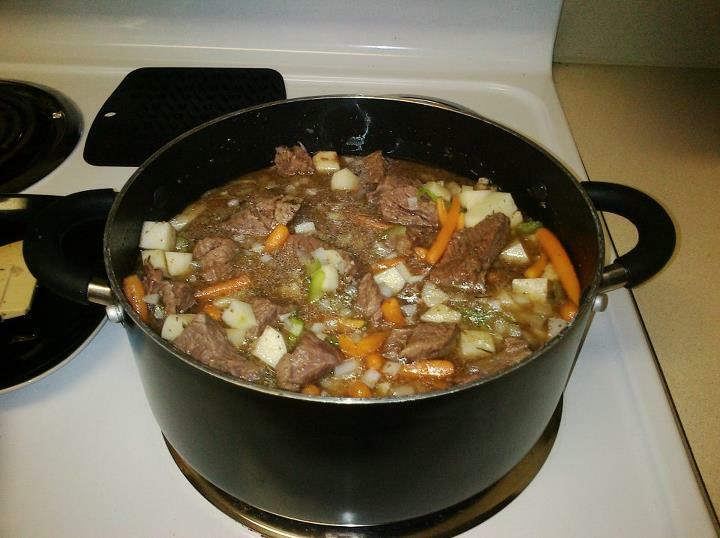 Uncover and let simmer for about 30 minutes, and BAM, you have some killer beef stew. There are no real particulars, like I mentioned, taste is all relative, so feel free to tweak to your own taste! And when it comes to beer, use whatever you'd like! This time around, I used a mixture of one cup of Anchor Steam Porter and one cup of Union Brewing Balt Alt. The two mixed perfectly and you could taste the influence in the final product! And we scooped it up with a nice loaf of french bread! IT WAS SO GOOD! My fiancee was such a huge help! So there you have it, my first post about cooking with beer! And a special thank you to Nikki from J. Timothys for giving me the inspiration to blog about this! If you like it, I'll continue doing it! "Mouth watering. And I work at a restaurant where I can have almost anything. Damn you"